"Dr. Rundle was very knowledgeable and thorough." "Dr. Rundle and staff are incredible!" "I love how holistically he treats the body..."
"I can honestly say my experience at Dr. Sean's office has been the absolute best!" At Premier Chiropractic, located in Laguna Hills, California, Dr. Sean Rundle and his qualified staff offer patients chiropractic care for the relief of headaches and migraines, herniated discs, TMJ, shoulder, back and neck pain, and much more. Massage therapy services are also available. Dr. Sean Rundle is a state board and national board certified chiropractor serving patients in the Orange County area. The mission at Premier Chiropractic is to help and empower as many people as possible regardless of their situation, condition, or financial situation. Dr. Sean graduated from Los Angeles College of Chiropractic and has studied practices such as the Palmer, Gonstead, Diversified, Activator and Thompson Drop Table method. Dr. Sean also has a focus in chiropractic for pediatrics and pregnancy, sports injuries, auto and work-related injuries. He has over twenty years of experience serving his community and donates his time as a wellness expert to speaking on various topics of health and wellness. Dr. Sean speaks at corporations, church groups, and community centers and is co-owner of a coaching and consulting company for chiropractors across the nation. Dr. Sean’s love and passion for helping others through quality chiropractic care remain stronger than ever. He is dedicated to helping you and your family get out of pain and back to life! What is this Text Neck Syndrome that I've been hearing about it? Are you looking for a new chiropractor? 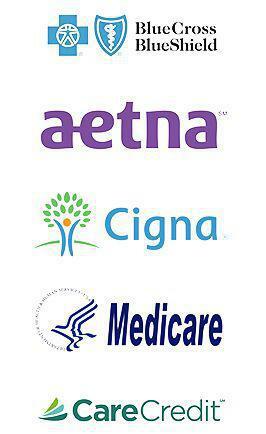 We participate with most insurance plans, including Medicare and Blue Shield. Flexible payments plans and financing are also available. "Dr Rundle has total cured my Neck and Back pains, and has helped by instructing me in how to eliminate my knee pains related to working out!! " "I have been adjusted most of my life and by far Dr. Rundle and staff are the best in Orange County." "Dr. Sean has allowed me to stop taking Tylenol everyday - I have no more headaches and sleep so much better! " "Great place to go for pain relief and good health management for the whole family. Friendly and helpful staff and great doctors!" "I thank Dr. Rundle for introducing me to the Chiropractic world years ago. He is extremely skilled, self-less; with an amazing personality to top it all off. Thanks Dr."